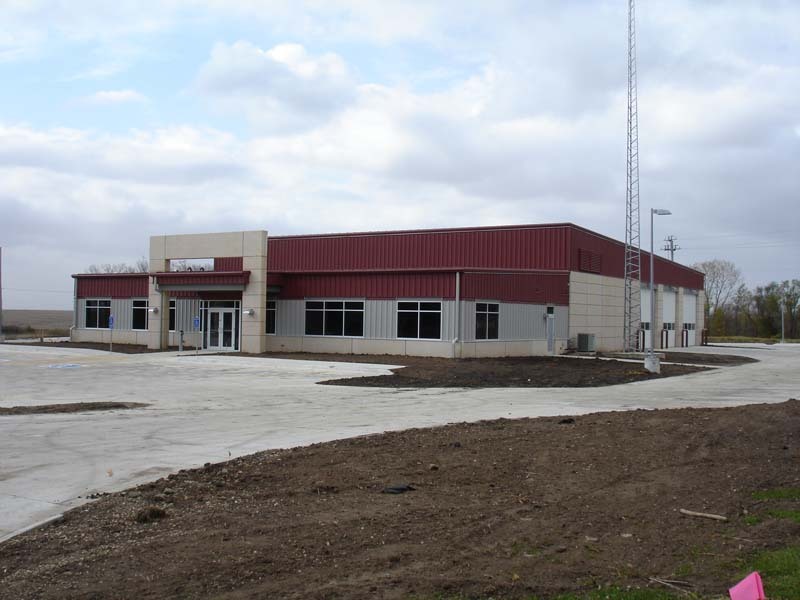 Work is completed and the official location of the New Hampton Fire Department is now the new station on Linn Ave.
Work on constructing the building has come to a completion. 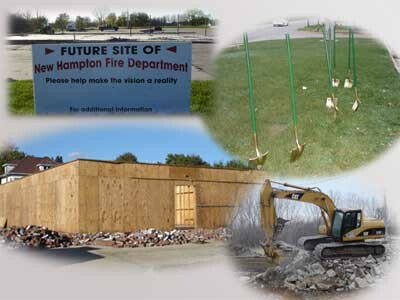 Although more work is still ahead the New Hampton Fire Department took possession and moved into the new building on November 1, 2008. Many things like landscaping and monuments are yet to be completed at the site, however planning for those items is in the works and will be completed late fall 08' or early spring 09'. Site preparation began back in September 2007 as volunteers from the Fire Department deconstructed the old Hardee’s building and removed it from the site. Ground breaking took place in November 2007, and contracting crews moved on site in March 2008 beginning their work on site preparation removing old pavement and beginning construction of the new building. Construction of the actual structure was done around September 2008, and interior finish work completed about the end of October 2008. An open house for the new Fire Station is being planned and a date will be set in the coming weeks. The New Hampton Fire Department would like to thank the members of the community for supporting them in the plans for the new station, it truly is a state of the art facility and should serve the community for years to come. The New Hampton Fire Department looks forward to serving the community in the future with improved response capabilities from our new location. This site is designed and maintained by: New Hampton Fire Dept.